We work with St. Louis citizens and community leaders to prevent homelessness, energize local economy, strengthen neighborhoods, and end the decay of our City's historic structures. Through community programs focusing on education, entrepreneurship, and home ownership opportunities, we help urban families become more sustainable, productive, and informed. People over property. PRTR met with Mr. and Mrs. Stone to let them know we had kept the property from going to the LRA and did an emergency roof repair to stabilize it. At first, the Stones thought it was just too good to be true. “What a blessing,” they told us. But it still needs a lot of work before they can move in to restore it to its former beauty. “When I think of the house on Maffitt, I think of family, stability, togetherness. For as long as I can remember, this house has been filled with generations of memories. (I could go on with so many stories!) Parents, grandparents, aunts, uncles, siblings, cousins, and children–all filled with laughter, love, and hope. My husband was 5 years old when he moved into this house where he grew up. What an exciting moment for a young, up-and-coming African American family in the city! “My mother-in-law was always bustling around the kitchen cooking up something for a get-together. My husband was very close to his mom and would love nothing more than to continue her legacy. Being able to reclaim this home, to keep it in our family, would be a meaningful step toward preserving her memory. And it would mean having a place for our children, 16 and 5, to call home for generations into the future. As for me, I didn’t have that stability growing up. Maybe that’s why I fight so hard for my children to enjoy the basic things I lacked. PRTR currently seeks to raise ~$2000 for legal expenses to transfer the deed and to give this family a boost for basic repairs. 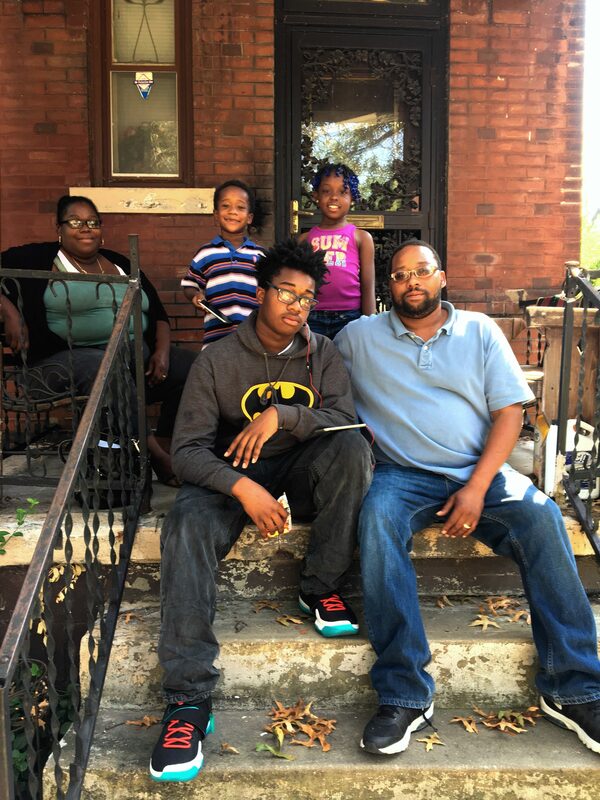 We hope you’ll contribute a few dollars to help this family hold on to their memories and build wealth across generations, and be the community leaders who begin restoring a neighborhood for the people who built it up to begin with. Mr. Stone kneels proudly next to the front walk inscription. 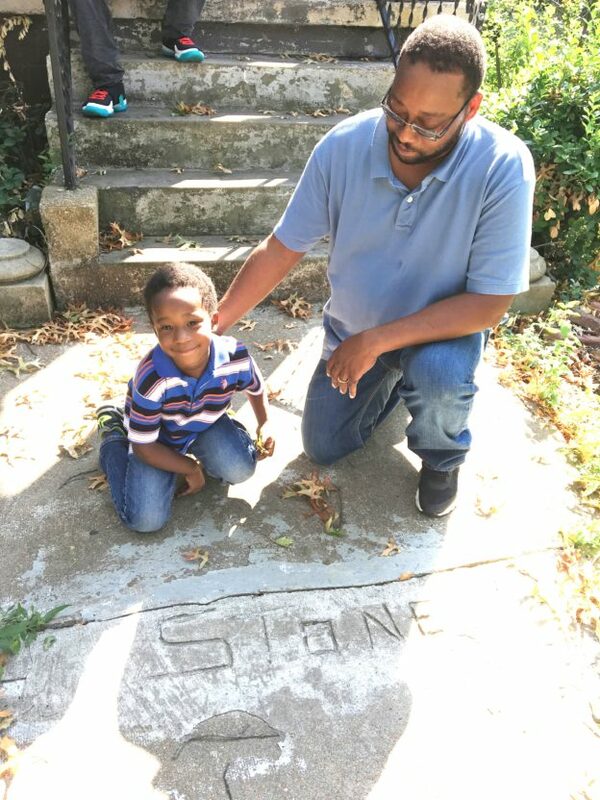 The family name was inscribed by Mr. Stone when he was a child moving into his family’s first home, at the same age as his son is today. The Stone Family sits on the porch of the home where they’ve shared so many memories over the years. They hope to bring the house back into the family and build wealth for their children and eventual grandchildren. Click the button below to contribute to the Stone Family’s future. This entry was posted in Uncategorized on August 26, 2017 by ProjectRaiseTheRoof. As published in a recent article by The Riverfront Times, St. Louis City’s African-American Aldermanic Caucus has proposed a resolution to support HR40, which would research the many ways slavery has impacts society and propose reparations for African Americans. Project Raise The Roof applauds these aldermen for taking a stand on this national issue and hopes the Board of Aldermen will also increase focus on this issue here in the City. 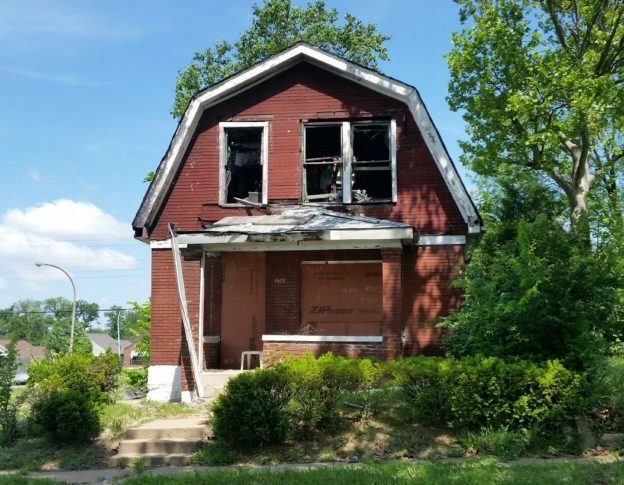 One effective starting point would be a resolution urging the Missouri State Legislature to amend RSMO 92 to end the confiscation of St. Louis City’s owner-occupied homes via tax auctions. Since 1971, this state level law has devastated African American neighborhoods and low-income/elderly homeowners, primarily those north of Delmar. This law causes homelessness, reduces family homes to vacant rotting ruins, and perpetuates cyclical poverty by making it nearly impossible for African American St. Louisans to transfer wealth across generations. All change begins locally. It’s time for St. Louis City to alleviate some of the economic oppression our own municipal government continues to impose upon our Citizens of Color. This entry was posted in Uncategorized on June 15, 2017 by ProjectRaiseTheRoof. Senior citizen Bonnie Green is no stranger to public policy reform. For decades, she has watched the houses around her become vacant; she has shaken her head at the effects that poverty and crime have had on her Penrose Neighborhood; and she has prayed every day for a solution. In Spring 2014, Miss Bonnie decided to take action herself. She went to Jefferson City to speak to her state representative and testify at the hearing for House Bill 1659, which would have decriminalized cannabis and offered expungement of criminal records for non-violent drug offenders to help them get treatment and find gainful employment. The bill didn’t pass, but Miss Bonnie didn’t give up. Instead, she put her own name on the ballot and ran for Missouri State Senate. As a first-time candidate, Miss Bonnie received some solid endorsements and earned over 1/3 of the vote. 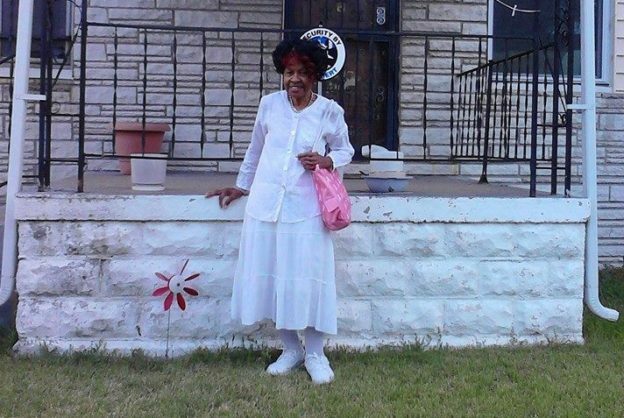 Still, Miss Bonnie kept working for justice and progress in her community as an active member of her church, and even served as a founding member of Project Raise The Roof in 2013. In Fall 2015, Miss Bonnie fell ill and was hospitalized for several weeks. She missed a few payments, and now gets around with the help of a walker as she attends physical therapy sessions. After interest and penalties, it will now cost $1237 to keep Miss Bonnie’s family home from being auctioned on August 23rd. At present, the Collector of Revenue makes no exception for homeowners who are on a fixed-income, seniors, veterans, or those who suffer serious illness or financial hardship—something Miss Bonnie hopes to help change, in order to stabilize not only the neighborhood where she grew up, but neighborhoods across the City. This entry was posted in News, Uncategorized on August 19, 2016 by ProjectRaiseTheRoof. PRTR has been busy this summer! Since our inception, people frequently ask, “If you help people today, how do you know their house won’t just go back up for auction the next year?” The answer is simple. We make outreach phone calls and house visits to keep in close contact will all of our clients throughout the year to assess their needs. We make sure they have simple tools, such as transportation to City offices, or minutes on their phones. Some of our clients have not only gotten themselves back on track, but have taken the next step: guiding their friends and neighbors on the path to homeownership and/or retention. Some of yesterday’s emergency clients have even become PRTR donors themselves! Many things have come full circle in the short 2.5 years since we were founded. Remember Mr. A who immediately set to work volunteering for Miss Debra? He now owns a donated utility van, transforming him into a business owner and handy man, cutting lawns and doing odd jobs–often even hired by other PRTR clients! 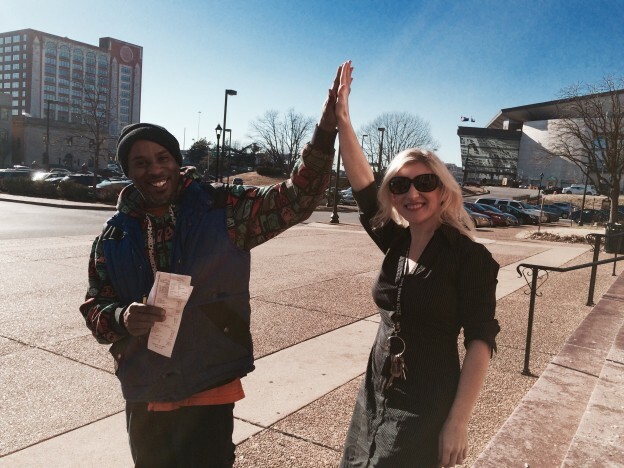 Remember Sam, our army veteran who nearly lost his house to the LRA over a few hundred dollars in property taxes? Thanks to PRTR and some pro bono legal work by civil rights attorney Eric Vickers, Sam redeemed his property and got his printing business up and running. Check out the new PRTR shirts his company Ma’De Life designed for us! Thanks to our volunteers and contributions–small and large–from our recurring monthly donors, Project Raise The Roof has spent 2016 assisting our clients with legal representation, estate planning, education on municipal processes, household budgeting, finding stable employment, and entrepreneurial endeavors. 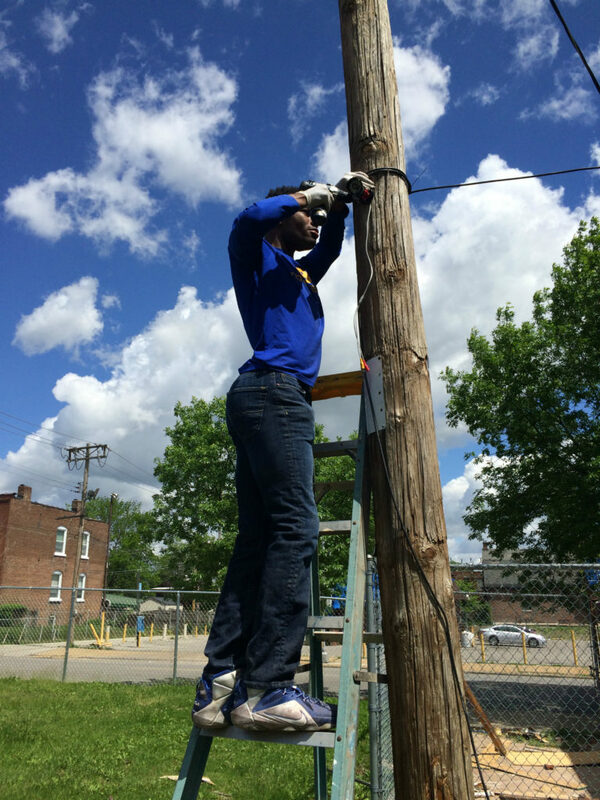 We remain deeply committed to restoring or creating sustainability in St. Louis City neighborhoods–one home at a time, one family at a time. Thank you ALL for your continued support of our mission. We’d like to give a HUGE round of applause to our clients for overcoming economic hardships and getting by with a little help from friends to find a path toward success. When clients and donors are neighbors who become friends, there’s no limit to what our City can accomplish together. This entry was posted in News, Uncategorized on June 21, 2016 by ProjectRaiseTheRoof. This May, PRTR had the delightful honor of sponsoring John Burroughs School senior Chris B., who volunteered with us the entire month for his “May Project”. Each Burroughs senior is required to spend the final month of their education on a volunteer project with a local organization to leave a lasting impact on their community. Chris spent most of his days meeting past and future PRTR clients, doing demolition at our new office space, and installing a security system. He took a trip to City Hall with our executive director to speak with legislators about municipal policies and helped his peers in St. Louis City schools pre-register to vote on the #STLSWAGTour with 100 Black Men and Hot 104.1. On June 2, Chris will graduate from Burroughs. This fall, he will play football for the Dayton Flyers while pursuing an engineering degree at the University of Dayton with an academic scholarship. Chris mounts a security camera for the PRTR parking lot to provide a safe environment for our clients and neighbors. Chris joins St. Louis 2014 Artist of the Year C-Sharp, PRTR’s executive director Natalie Vowell, and President of 100 Black Men Jacque Land on the 2016 S.W.A.G. Tour to get St. Louis City high school seniors registered to vote. Each year, the S.W.A.G. Tour partners with local hip-hop artists, community leaders and non-profit organizations to encourage Service, Well-Being, Academic Achievement, and Goal Setting among high school students. 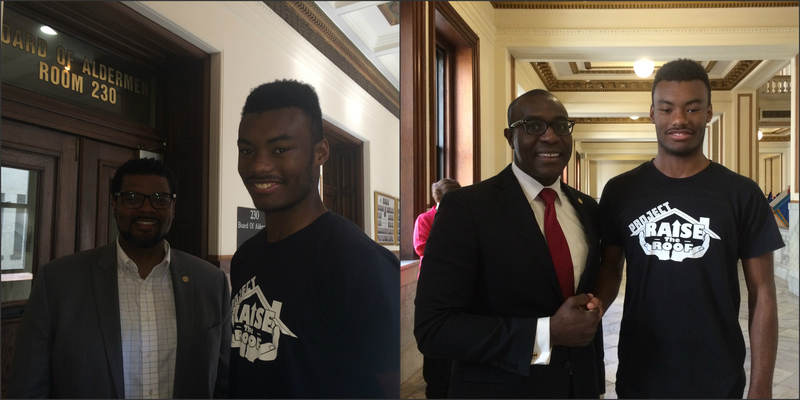 Chris meets 21st Ward Alderman Antonio French and chats with President of the Board of Aldermen Lewis Reed about his volunteer work with PRTR. He went to City Hall on routine business, and had the opportunity to meet with some of the higher-ups who enact policies which directly impact PRTR clients. 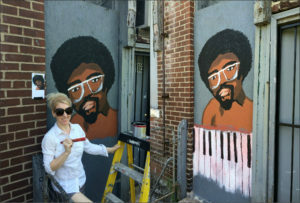 Natalie and Chris paint murals to beautify some bland plywood. Natalie chose her favorite jazz pianist, Herbie Hancock, and Chris opted for a Spiderman theme to boost neighborhood morale. From all of us at PRTR: THANK YOU and congratulations, Chris! We wish you the best in this new, exciting chapter of your life! This entry was posted in News, Uncategorized on May 31, 2016 by ProjectRaiseTheRoof. This morning, PRTR met Mr. Fisher at the St. Louis Development Corporation to sign the last dotted line which will officially put the home Jerreld Fisher has owned for over 3 decades into his own name. 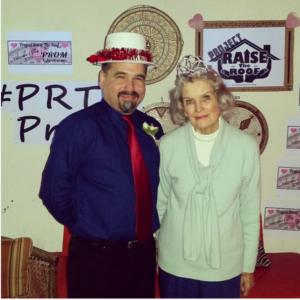 For the past several months, PRTR has worked to raise funds for this very moment. We would like to thank everyone who donated, shared Mr. Fisher’s story, and showed up in support and solidarity to make this happen. Big thanks also to Chris Naffziger at St. Louis Magazine for covering Mr. Fisher’s story. We now enter the next phase of the project: turning Mr. Fisher’s house back into his home. After a few years on Social Security income, struggling to balance tax payments and just barely keep things functional, Mr. Fisher’s home could use a little TLC to make it a comfortable space for the Navy veteran to retire, and someday leave to his only child, his 8-year-old daughter Jericha. The St. Louis Land Reutilization Authority gives a project completion window of 18 months for anyone who purchases property from them to complete required repairs. Whether a developer or a regular citizen purchasing their home back after confiscation for delinquent taxes, the 18-month deadline is intended to ensure the property meets all City building codes and occupancy requirements. (Otherwise, the LRA reserves the right to take the property back.) Ms. Dee at the LRA assures us she will work with us if we end up requiring an extension on this critical deadline. If you’re a handyman or handywoman, a contractor, affiliated with a community outreach organization, or just a helpful volunteer who wants to lend a hand for Mr. Fisher’s home repairs, please e-mailvolunteer@projectraisetheroof.org to see how you can get involved! Again, THANK YOU TO EVERYONE who helped make this crazy dream a reality. Pat yourselves on the back, and expect an invitation to Mr. Fisher’s house re-warming party! This entry was posted in News, Uncategorized on April 18, 2016 by ProjectRaiseTheRoof. Some of you may remember the #SledgehammerChallenge from December 2014. PRTR, in conjunction with ACOPP – Assisting Children Of Prison Parents planned to convert a neglected property into a learning center to teach entrepreneurial skills to kids and teens with incarcerated mothers or fathers. Sadly, over the winter, our project site was burned to the ground before we could even get started with renovations. We had no choice but to put the new program on indefinite hold and hope something else eventually came along. Nearly a year later, a community-minded man in Chicago contacted Project Raise The Roof out of the blue. He owned a St. Louis property which was no longer practical to maintain due to time and distance, and he was looking to donate it to a charitable organization that could use the space as a home base to serve clients and improve the neighborhood. PRTR immediately began preparing the paperwork. 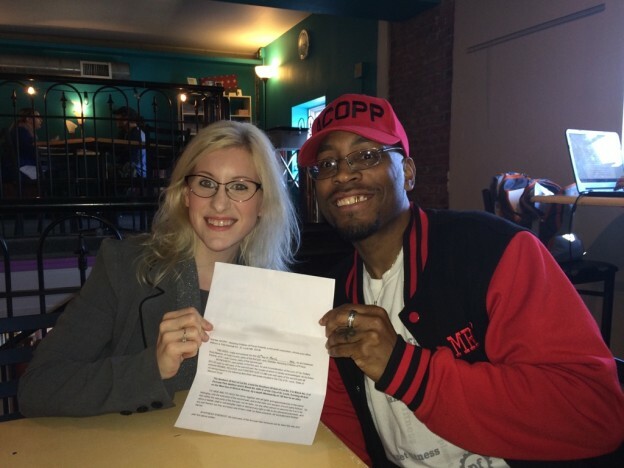 On Friday, ACOPP and PRTR met our notary at MoKaBe’s to sign the deed, and headed to City Hall to finalize the transaction. This weekend, ACOPP’s founder, Hakee Mitchell, and PRTR’s executive director got our first peek inside! Not only was this property secure from vandalism, it’s more space than we ever could have hoped for! We can’t wait to get started on clean-out and finally begin the Sledgehammer Challenge! Check it out, and get ready to help us expand the skillsets of local kids and rejuvenate a community! Contact us at volunteer@projectraisetheroof.org to see how you can get involved! BIG THANKS to our generous property donor, Mr. Rudy Newson! This entry was posted in News, Uncategorized on March 27, 2016 by ProjectRaiseTheRoof. 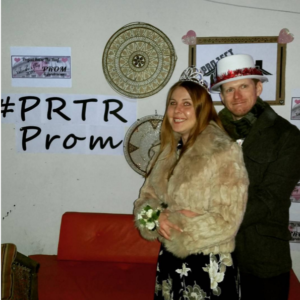 First Annual #PRTRProm – A Smashing Success! 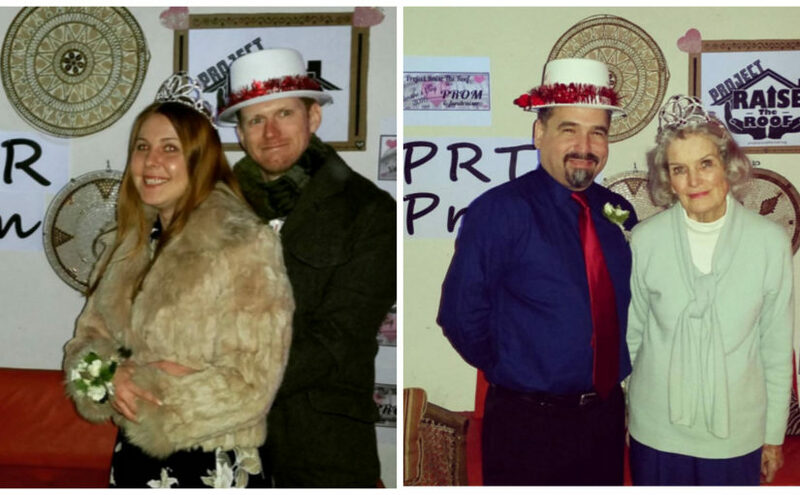 Well… Thanks to all of you wonderful people, PRTR’s First Annual Valentine’s Day Prom was an absolute smash hit! We could say so much more, but a picture is worth a thousand words, so we’ll let the photos speak for themselves. Check out a few of the highlights on our Instagram page. All said and done, we raised enough funds to save at least 3 more homes from the auction block once the Sheriff’s tax sales begin again in May…and more donations keep coming in. BIG thanks to our longtime supporters and our new donors who learned about our mission last night. Shout-out to our local businesses: Flowers for the People, who provided floral arrangements for the awards ceremony, 2720 for graciously donating the space for the event, and Or Cards for providing super-special on-the-spot typewriter poems for our guests. Congratulations to Prom Queen & King Couple, Courtney & Erik (left,) and to Prom King & Queen Individuals, Manny & Moir (right)! Attendees earned votes by raising the most money ($1 – 1 vote) to win their titles. We’ll let the rest of the photos speak for themselves… Thanks again, St. Louis! We can still feel the love tonight…and for many nights to come. Looking forward to seeing you at PRTR Prom 2017! This entry was posted in News, Uncategorized on February 15, 2016 by ProjectRaiseTheRoof. Last year, Sam, a 2-tour Iraq Army veteran, lost his house to the City of St. Louis Land Tax Auction over $947 in delinquent real estate taxes. Since before Thanksgiving 2015, this father of 2 boys has worked extra hours and taken on side jobs earning money to retain his property. Today, we went to the Civil Courts building to handle Sam’s final continuance…and kept his home from becoming property of the LRA (Land Reutilization Authority), thanks to Sam’s hard work and your donations. Extra special thanks to civil rights attorney Eric Vickers, a couple proud Military Moms, Master Sgt. D, and a few U.S. Airmen—currently deployed overseas—who couldn’t bear to see a fellow vet fall upon hard times. Neighbors helping neighbors, veterans helping veterans. High-five yourselves, St. Louis! This entry was posted in News, Uncategorized on January 14, 2016 by ProjectRaiseTheRoof. Celebrate Valentine’s Day in your finest cocktail attire, your puffiest 80’s prom dress, a ruffled tuxedo shirt, or just slacks and sensible shoes. Bring a date or come solo! Anything goes! 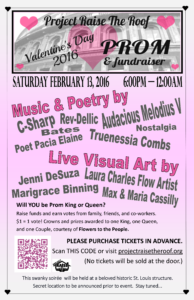 Dance to the best of beats by local DJ’s, poets, and musicians, and enjoy live visual arts by some of the coolest artists in St. Louis. Ask friends, family and co-workers for their vote ($1 donation) to win your “election” as Prom King or Queen! You may also donate yourself, and there is NO LIMIT to the number of votes you can BUY. After all, this is for a charitable cause! (Proceeds go to Project Raise The Roof.) Share via social media with #PRTRProm! On-the-spot one-of-a-kind Valentine greetings available from typewriter poet Jory Piccinino. This swanky soireé will be held at 2720 Cherokee, 2nd Floor Ballroom. This entry was posted in News, Uncategorized on January 9, 2016 by ProjectRaiseTheRoof.